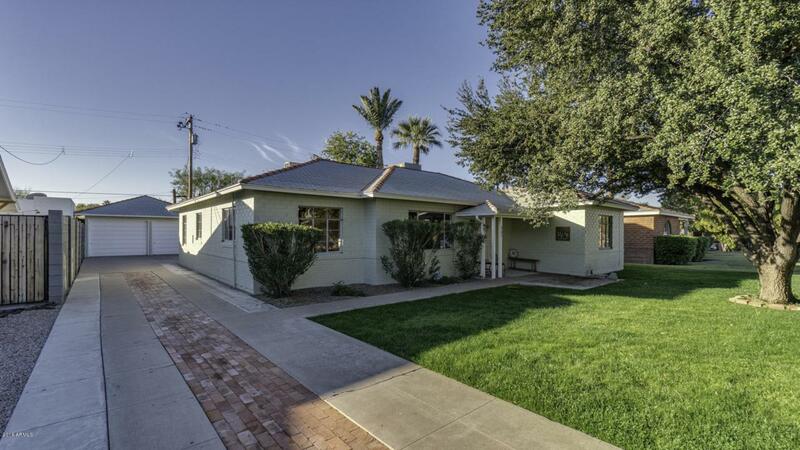 Charming home in the one and only Willo Historic District in Downtown Phoenix. Gorgeous hardwood flooring, new cabinets and granite in kitchen, stainless steel appliances, alarm system, updated bathrooms with jacuzzi tub in master, all original doors in excellent condition.This home also has a rare 2 car garage that could be converted into a CASITA as it has running water and utilities. Home has been repainted outside! The highlight is the one of a kind revolving Hollywood closet in one of the bedrooms. The original owner was an organist for a local church and had fabulous gowns for her performances and the closet was customized for her wardrobe. A MUST SEE! Roof replaced in 2014, AC unit in 2012, water heater 2012.